War of the Bugs or Monsterous Manouvers in a Mushroom Maze © 1981 Armenia. Very interesting game. 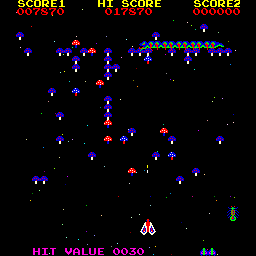 Play "Centipede" in a "Galaxian" environment :). Developed by Food and Fun Corp.